The recent reports that Microsoft (MSFT) may join with Silver Lake to take Dell (DELL) private are not a signal that Microsoft is getting into the PC business. In fact, they’re just the opposite — here’s why. 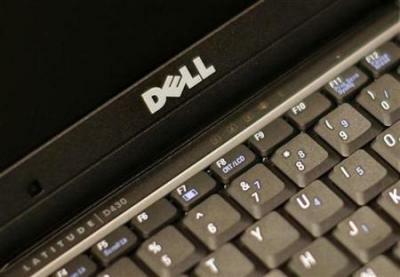 Dell must get into the solutions business as a service provider in the enterprise space. Its starting point happens to be PCs. So Dell starts out at the desktop, then servers. Oddly enough, Dell, the company that really beat IBM (IBM) at PCs by taking cost out of the supply chain, today has trouble competing with IBM. Yet Dell, as a leading PC manufacturer, has a strong brand and great reputation for things that today do not matter. As a result, it must transition its business into a services company to remain relevant. However, as a public company, it would not be given the proper time to plan and methodically transition itself in a smart, strategic way. Dell is simply better off as a private entity. Silver Lake is arguably one of the best partners a company like Dell could have. They are, hands down, a strategically brilliant company. Case-in-point: Silver Lake invested in what I considered to be one of the most desirable investments in tech — Alibaba. Many investment groups wanted to get in on that deal, yet Alibaba wanted Silver Lake, citing it as a high quality investor. For Microsoft, this would not be its first collaboration with Silver Lake. In 2011, Microsoft bought Skype from Silver Lake Partners. In that deal, Microsoft analyzed how Silver Lake had strategically transformed Skype. So Microsoft knows Silver Lake would be the right partner for a Dell deal. As a smart, strategic investment group, Silver Lake has the wherewithal to help shape Dell, guide them and provide opportunities that it could not get as a public company. Next, for Microsoft, this deal is not material, but strategic. Microsoft has $66 billion in cash that is earning very little. For a few billion, Microsoft can get meaningful influence with one of its largest global partners. In Dell’s current business, it has a 5.74% operating margin. Microsoft has an operating margin of more than 36% — much of it through bundled software. With its “nose in the Dell tent,” Microsoft can influence more sales of its software through the Dell legacy business. At the same time, Microsoft can be positioned to participate in the upside of Dell’s business transition. Working with Silver Lake, the Dell transition to services as a private company will be executed in a deliberate fashion — as opposed to the quarterly race run by public companies. Dell’s transition to services also creates other opportunities for Microsoft in the cloud, big data and virtualization — all areas that are part of Microsoft’s future in the enterprise space. Microsoft can theoretically end up with a services provider — not dissimilar to its relationship with Avanade in CRM. With Dell, Microsoft could continue its high margins in Dell’s legacy PC business, while influencing and participating in the transition of Dell into a services company. And in the end, if Dell is successful building up a solutions business in the enterprise space, guess what company would likely be the best buyer? And they will not be making that deal to be in the PC business.